Taking the reins from King James, reigning NBA MVP Kevin Durant is your cover athlete for NBA 2K15. 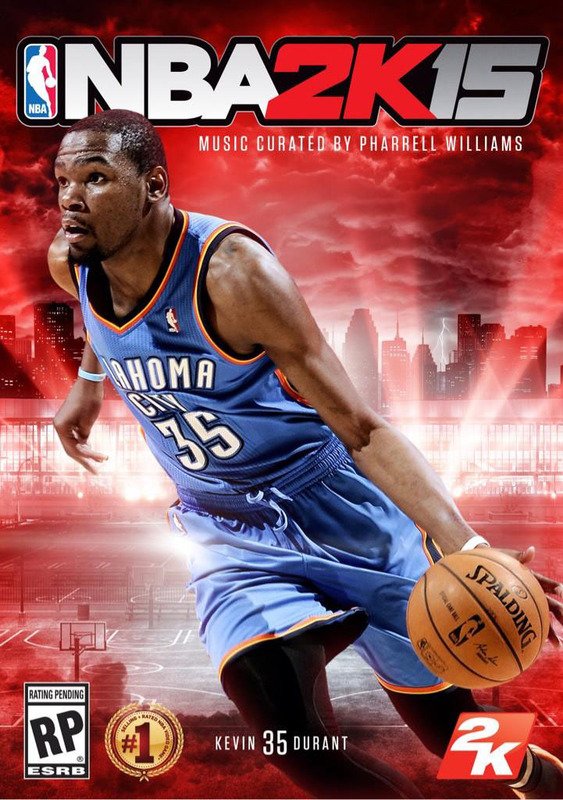 The cover was officially unveiled by 2K Sports and Durant earlier today. Additionally, in a video message on Instagram, Durant announced that Pharrell Williams will be in charge of the game's soundtrack. Not a bad follow-up to last year's team of LeBron James and Jay Z.
Durant, a known video game enthusiast, has had video game elements worked into his signature sneakers on more than one occasion. Is it possible you'll be able to unlock a special '2K15' KD 7 in this year's game? We'll have to wait to find out. NBA 2K15 releases Tuesday, October 7. Pre-order today at 2k.com and you'll receive the exclusive KD MVP Bonus Pack.